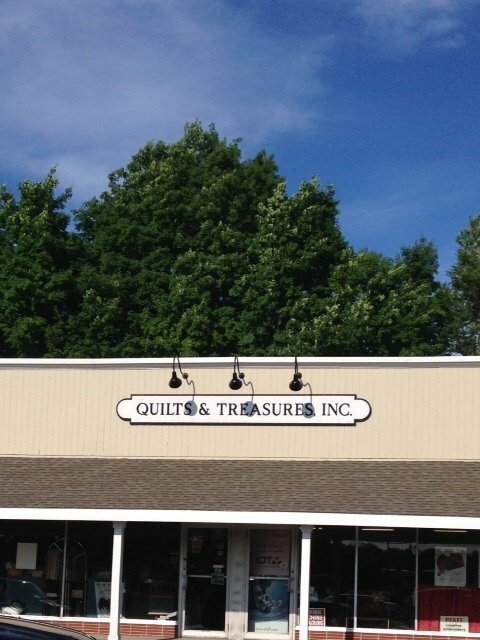 We are located in the Shaker Shops in East Longmeadow, Mass. just minutes from Springfield, MA and the Connecticut border. Traveling West on the Mass Pike (toward New York state), take exit 7. Take a left off the exit ramp. At second light, turn right and go over the bridge. Go right after bridge and then take first left at light (Parker Street). Continue on Parker Street, crossing Boston Road and Wilbraham Road (major intersections). Parker street will bear off to the left (at a light) but you want to continue straight (Cooley Road). Continue straight for approx 2 miles. At the rotary, go a little more than half way around to Shaker Road. We are in the strip mall on your left across from the ball field. Approx 400 ft from rotary. Traveling East on the Mass pike (toward Boston), take exit 4 to Route 91 South. Get off at Exit 1 - Route 5 Longmeadow. At 3rd light on Route 5, turn left onto Converse Street and continue to the end. Turn Right onto Dwight Road and take your first left onto Maple Street. At the rotary, bear right in front of Greenwich and turn onto Shaker Road. We are in the strip mall on your left across from the ball field. Approx 400 ft from rotary. From points south, take Route 91 North to Exit 48 - Elm Street, Enfield, CT. Bear right off the exit ramp following Route 220 into Massachusetts. (Note: You will bear left at a Y intersection and again at the Correctional Facility.) After the first light in Massachusetts, go 1/4 mile. We are in the strip mall on your right across from the ball field. Approx 5 miles from 91. From points north, go south on Route 91 to Exit 1 - Route 5 Longmeadow. At 3rd light on Route 5, turn left onto Converse Street and continue to the end. Turn Right onto Dwight Road and take your first left onto Maple Street. At the rotary, bear right and turn onto Shaker Road. We are in the strip mall on your left across from the ball field. Approx 5 miles from 91.